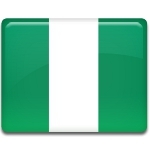 Democracy Day is a public holiday in the Federal Republic of Nigeria celebrated on May 29. It commemorates the restoration of democracy in the country in 1999 after more than a decade of military rule. Nigeria declared its independence from the United Kingdom in 1960. In 1966, a group of army officers staged a coup and overthrew the government. This marked the first period of military rule in Nigeria. The military rule was interrupted by a brief period of democracy between 1979 and 1983 (the Second Nigerian Republic), but in 1983 the military once again overthrew the government and established a dictatorship. The second military junta in Nigeria lasted for almost 16 years. Sani Abacha, the last major military ruler of Nigeria, died in 1998. His successor Abdulsalami Abubakar promised to end the junta. In 1999, a new constitution was adopted and elections were held. The elections were won by Olusegun Obasanjo. On May 29, 1999, Olusegun Obasanjo took office as President of Nigeria. He was the first civilian and democratically elected head of state in Nigeria after 16 years of military junta. Obasanjo's presidency put an end to military rule and marked the beginning of transition to democracy. The day he took office was declared as Democracy Day.